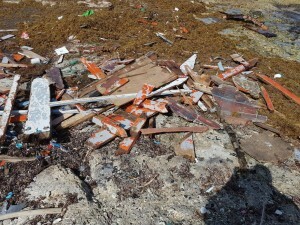 WILLEMSTAD - Once again a body washed ashore at Koral Tabak, north coast of the island. It is not yet clear whether it is a man or a woman. The body is not complete. It is obvious that it is one of the victims of the same tragedy when a boat crashed on the coast on the night from Tuesday to Wednesday last week. Five bodies were found earlier.